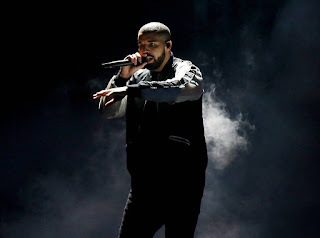 Drake is drawing controversy over a resurfaced old video of him kissing and touching a 17-year-old girl that he had brought up onstage at one of his concerts. The clip, which went viral just before this weekend, was filmed in 2010 and took place at a show in Denver, according to a YouTube user. Drake mentions Colorado onstage in the video. The age of sexual consent in that state is 17. In the clip, the rapper, then 23 years old, slow-dances with the girl, then rubs and kisses her shoulder and hugs her around her chest while standing behind her, as she smiles. "I get in trouble for s--t like this," he tells the audience, then asks the fan, "How old are you?" "Seventeen," she replies, as he expresses dismay, prompting the crowd to go wild. "I can't go to jail yet, man," he says. "Seventeen? How do you look like that? You thick. Look at all this."